1A presentation of circuit synthesis and circuit simulation using VHDL (including VHDL 2008), with an emphasis on design examples and laboratory exercises. 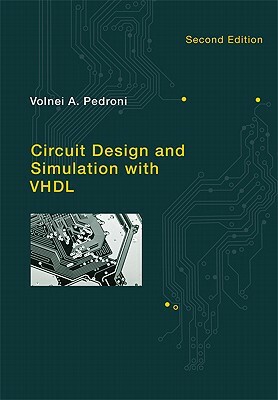 This expanded second edition is the first textbook on VHDL to include a detailed analysis of circuit simulation with VHDL testbenches in all four categories (nonautomated, fully automated, functional, and timing simulations), accompanied by complete practical examples. Chapters 1-9 have been updated, with new design examples and new details on such topics as data types and code statements. Chapter 10 is entirely new and deals exclusively with simulation. Chapters 11-17 are also entirely new, presenting extended and advanced designs with theoretical and practical coverage of serial data communications circuits, video circuits, and other topics. There are many more illustrations, and the exercises have been updated and their number more than doubled.